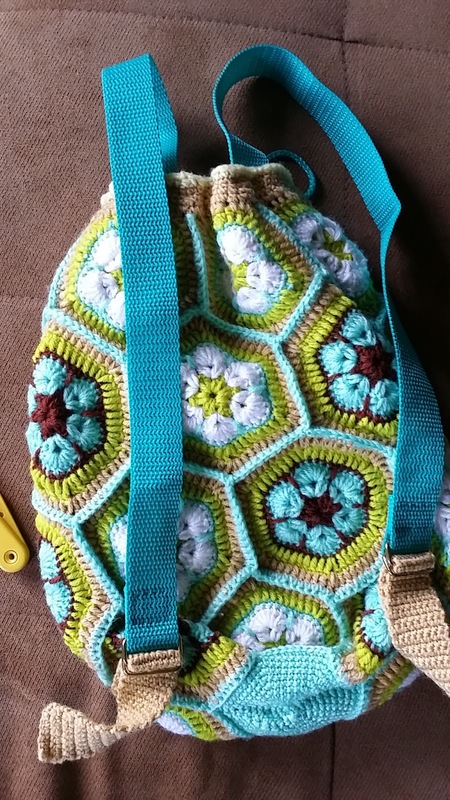 This bag is one of the many unfinished crochet projects I had. All 23 hexagons (24 including the base) were stitched together to form a bag and left just like that. 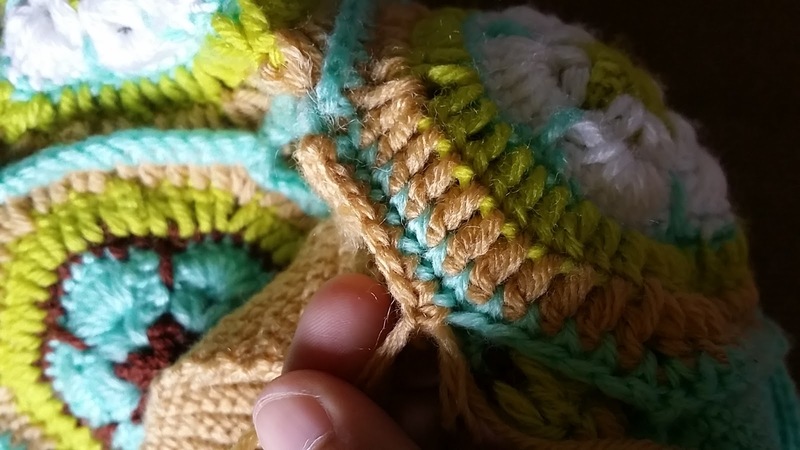 I didn't complete it as it turned out to be so small I didn't know what to do with it. I finally decided to turn it into a backpack for my baby. 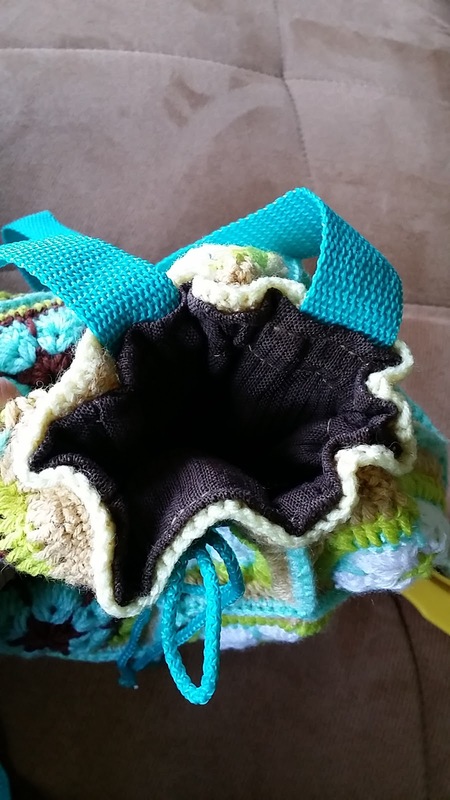 You can make even bigger bags using this simple pattern. 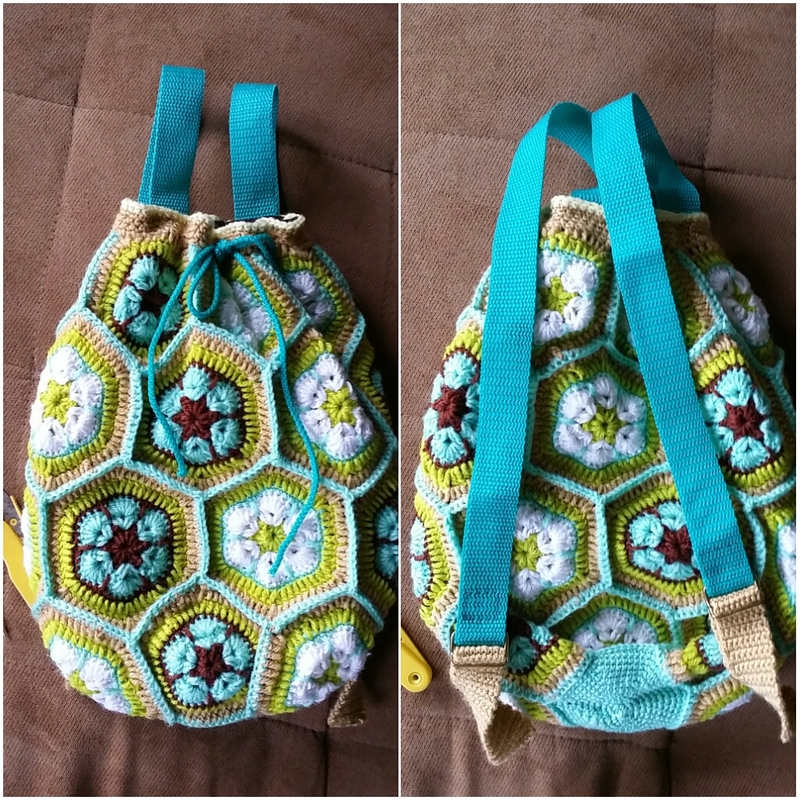 The bigger you want your bag to be, the more hexagons you have to do. Here's the pattern. 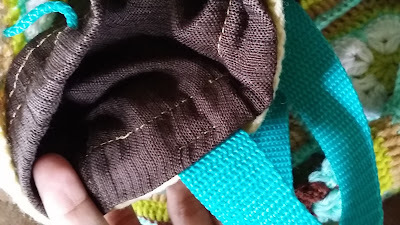 I'd like to maintain the shape of my bag so I made a bag lining. This way I can avoid the bag from over stretching. 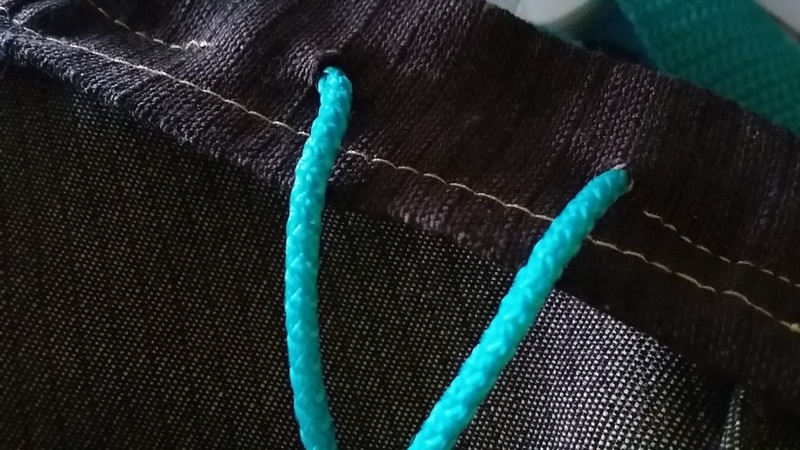 The vinyl cords will be used to pull close the bag. As for the STRAPS. I bought a matching vinyl tape. 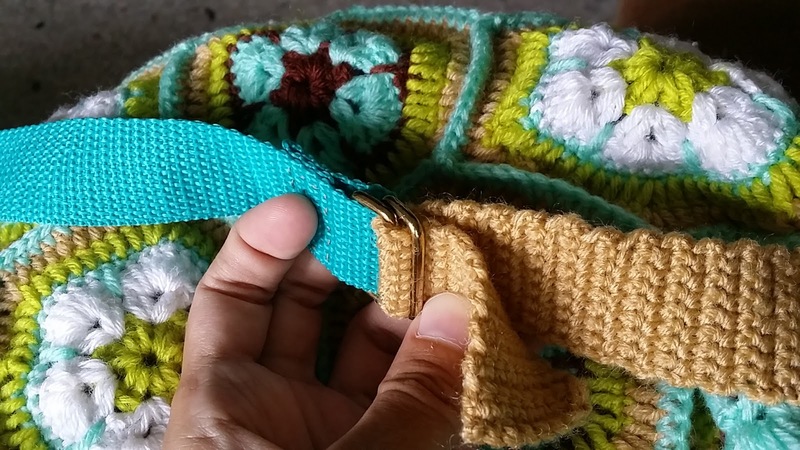 Sew it between the lining and the crochet bag. 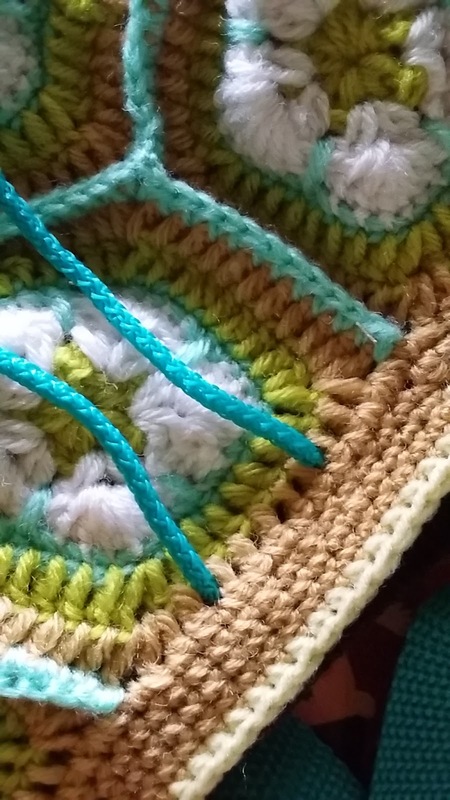 I didn't use a sewing machine for this as I'm afraid the wool might get stuck... Haha. 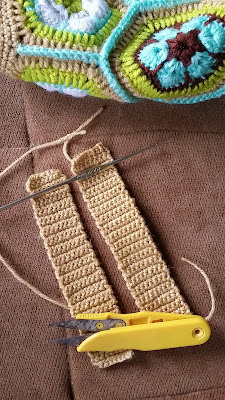 I wanted ADJUSTABLE straps. So that it can be used until years... You know how fast kids grow up. Hahaha. The mechanism of adjustable straps took me quite some time to figure out. 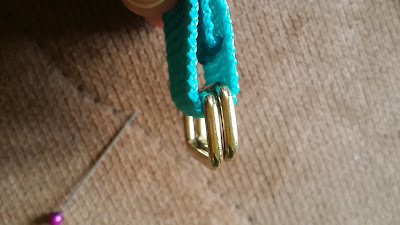 There are various ways to make an adjustable strap but I wanted one that use these 4 square metals as I already bought them earlier (cheapskate). So glad I finally found one tutorial that use them. 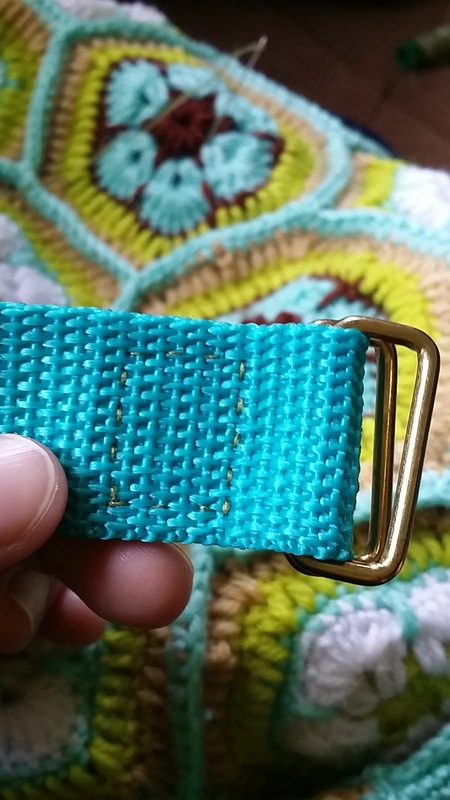 Insert two metals on each strap and sew it like so. For a backpack, you'll need two same length straps. Always PLAN what you want to do. Ha. 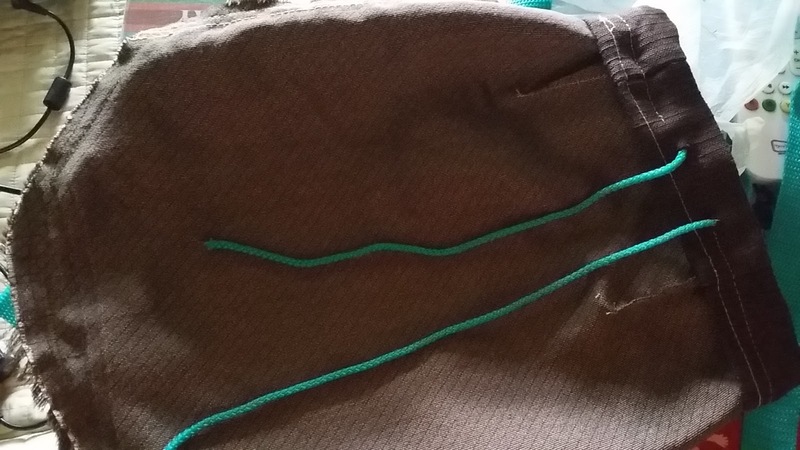 Since initially this bag is supposed to be a tote bag, there is no space to attach the end of the straps. So instead of using the vinyl tape, I had to crochet the straps myself. 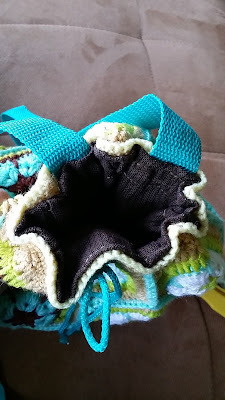 These crochet straps were then attached to the bag. I made the straps first, then only I attach them to the bag. 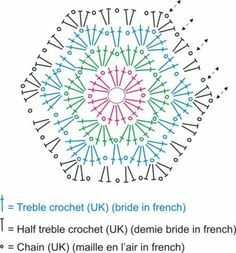 The width; 9-chains. 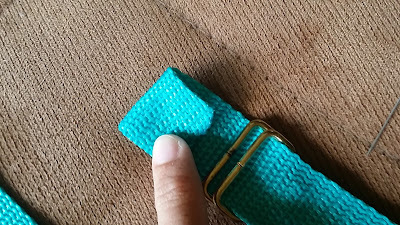 Length is up to you. Attach to the base of the bag using single stitch. Insert the straps between the two metals.